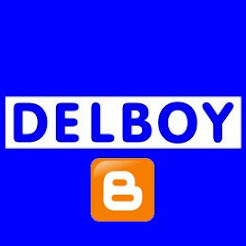 Delboys Radio Blog, Yaesu, Kenwood, Icom, CB radio, Ham Radio, Amateur Radio, DX, Mods, Antenna, President Electronics, Grant 2, Lincoln 2, CRT, Uniden, Anytone. Nevada Selling Lincoln 2 - Version 2! It looks like Nevada are the first UK dealer to be selling the modified VERSION 2 Lincoln 2's! Apparently the V2 sorts out the dancing s-meter and poor SSB receive problems! Just to clarify, these are Version 1 radios which have been modified to fix some of the issues in the original production. Proper Version 2 radios will come in the future! LED Lighting - The New Radio Killer? Copyright Delboy Enterprises 2014-2019. Simple theme. Powered by Blogger.